Sanvic pulsatile nasal sinus irrigators with 4 flow settings for comfortable sinus irrigation. Sanvic offers an individual and family sinus irrigator with color coded sinus irrigator tips. Drug-free natural sinus care for the whole family. See nasal sinus irrigator ratings and reviews. Nasal and sinus irrigator for 3 users. 4 flow settings. Includes 3 different color adult size tips and 20 packets of buffered salt mix. When we breathe, our nose and sinuses act as a filter for the air we inhale. 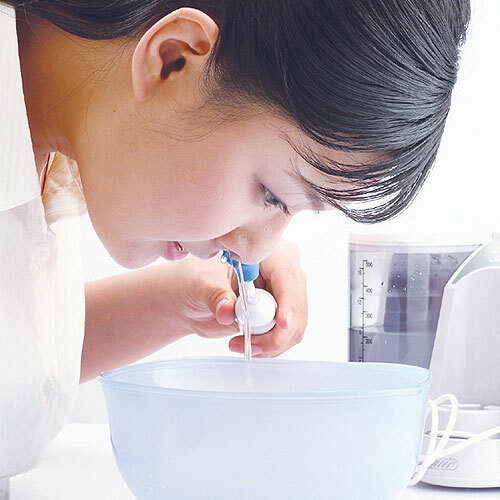 Just like brushing teeth removes food and tarter build-up, nasal sinus irrigation helps to remove trapped dirt, bacteria, and restore nasal cilia movement. The Sanvic pulsatile nasal sinus irrigator can help relieve allergy and cold symptoms and when used regularly, can reduce your chance of catching a cold during flu season. 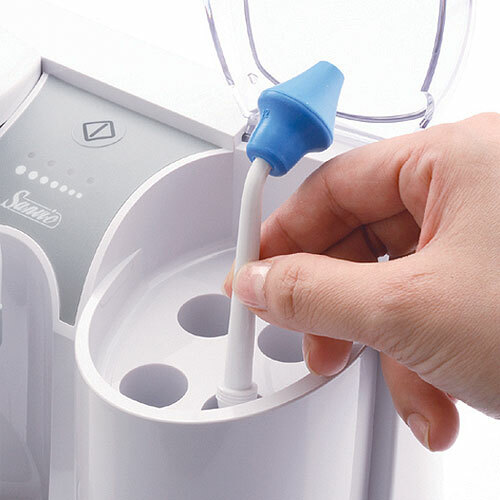 Designed by ENT specialist based on the research from many clinical use trials, the Sanvic pulsatile nasal sinus irrigator is perfected with four power settings to control water pressure and pulse frequency. This unique innovative feature enhances the irrigator’s ability to treat a variety of nasal and sinus symptoms while providing the user with a more pleasant and comfortable sinus irrigation experience. Focusing on drug-free preventative care for the whole family, the Sanvic pulsatile nasal sinus irrigator has color coded tips to accommodate multiple users. Child sized tips for ages 3-10 are available in pink or blue. Has allergies, asthma or rhinitis. Wants a drug-free way to improve sinus problems. Want to maintain a healthy upper and lower respiratory system. 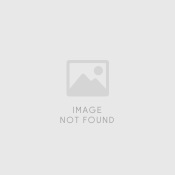 Wants an at-home after-care method to improve recovery from nasal/sinus surgery. Needs a nasal sinus irrigator for a child. Nasal irrigation is not recommended for children under 3 years of age. Clean with a damp cloth regularly. After each use run warm water through the machine to rinse away any left over salt. 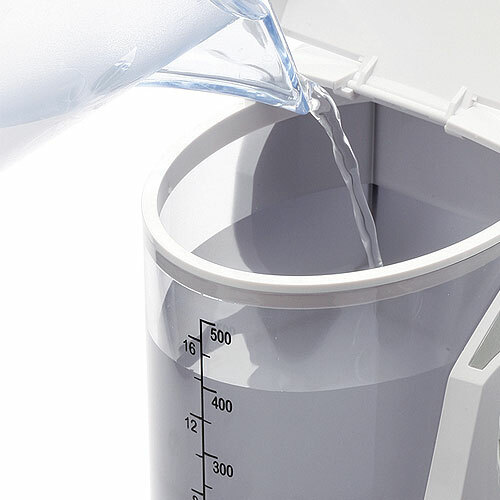 The solution container and irrigator tip holder is removable for easy cleaning. Designed by a group of ENT doctors, industrial designers, and experienced engineers. Made in Taiwan in a medical device GMP plant with high quality control. 4 flow settings for user comfort. Gentle setting is ideal for those who like more passive irrigation. Comfortable and easy to use. You do not have to tilt your head or hold yourself in an awkward position while using the Sanvic nasal irrigator. Drug-free way to clear sinus issues. Consistent use can actually help reduce the amount of sinus or cold medications consumed. Nice, attractive designed with a neutral color and a more attractive look then some of the other irrigators on the market. Easy to operate, electronic control button (not a turn dial) and LED lights to clearly indicate what flow setting you are on. Different colored tips for each user helps reduce the potential for spreading germs. Child size tips are available. The smaller size tips are less scary for children and are easier for a child to use. Built-in tip storage compartment with cover. This is a nice hygienic improvement over other irrigator models. Easy to fill and empty solution tank. Large opening at top and water container easily removes from base unit for cleaning. Added value. The Sanvic Irrigation comes with 20 packets of salt solution mix. No throat tips are included with the Sanvic Nasal Sinus Irrigators. Sanvic decided to focus solely on nasal irrigation and not add unnecessary extras that would only make the unit cost more. This irrigator requires a bit more counter top space than the Grossan Hydro-pulse irrigator. However, if you are short on counter space it comes with a wall mount option. We would recommend the Sanvic Nasal Sinus Irrigator to new comers of nasal irrigation as well as loyal patrons of powered sinus irrigation. It is a nice looking unit and performs very well. Its features have been well thought out for convenience and ease of use. The flow can be set to a very soft flow level which is good for those who like a less aggressive nasal irrigation or who are just starting with nasal irrigation. Our favorite features are the covered tip holder and ability to have different colored tips for different users. If you have a child who suffers from sinus infections or sinus allergies the Sanvic irrigation is child-friendly with the option to purchase smaller sized tips. 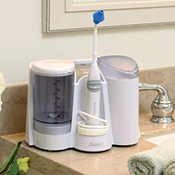 Includes 2 adult tips for the Sanvic Nasal Sinus Irrigator. Available in 6 color combinations. Recommend replacing every 6 months. Includes 4 adult tips for the Sanvic Nasal Sinus Irrigator. 1 of each color: blue, green, yellow and pink. Recommend replacing every 6 months. Includes 2 child tips for the Sanvic Nasal Sinus Irrigator. Available in 3 color combinations. Recommend replacing every 6 months.